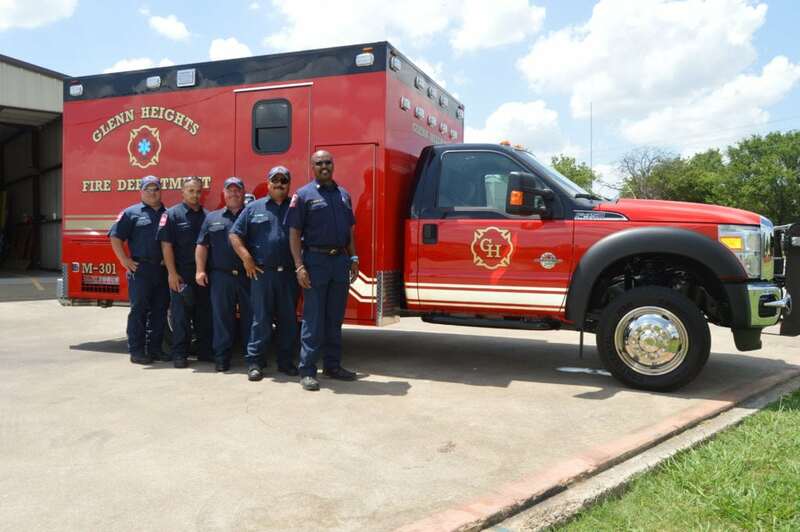 GLENN HEIGHTS—The Glenn Heights Fire Departments added a new ambulance to its roster this week. The city of Glenn Heights held a dedication, so residents and city council members alike, could come out and welcome the new piece of equipment. Glenn Heights Fire Chief Eddie Burns said the ambulance, a line item in this fiscal year’s budget, cost the city $167,000. 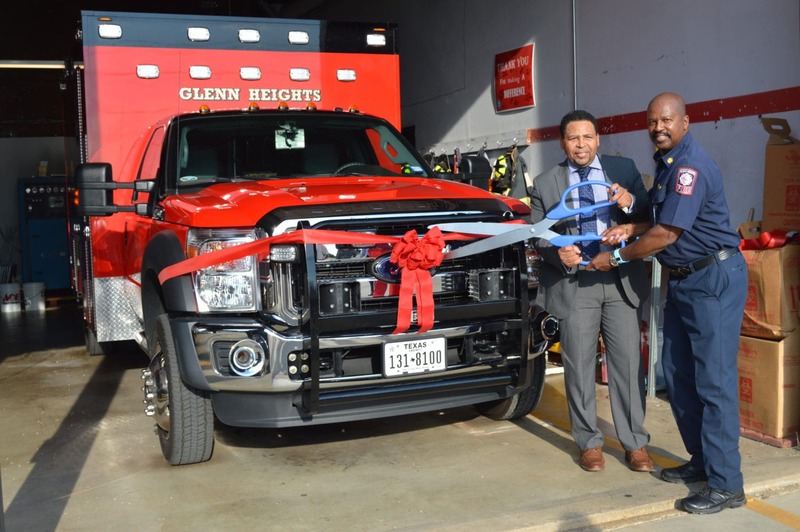 “A new ambulance coupled with our existing ambulance not only showcases a commitment to our firefighters; but also it provides assurance to our citizens that professional emergency assistance is on the way – no matter who dials 9-1-1,” said Glenn Heights Mayor Leon Tate. Burns said the old ambulance had almost come to the end of its shelf life. However, it will remain as a reserve piece of equipment in the city for the next three to five years. “We run it [ambulance] about five years and depending on miles and maintenance that dictates when an ambulance needs to be replaced, this vehicle was at that point,” Burns said. Currently Glenn Heights Fire Department boasts 12 full-time and 12 part-time firefighters, six full-time paramedics and three EMT’s.